Climbing the still active Mount Rinjani is one of the most challenging experiences for travelers in Indonesia. Its known as a deeply magic and sacred place to the Hindus and the Sasaks who often make pilgrimages there. Climbing to the top is a BIG EFFORT but it’s WORTH IT! On the top of the volcano there is a 6-by-8.5-kilometre caldera, which is filled partially by Segar anak crater lake known as Segara Anak. This lake is approximately 200 metres deep and contains some hot springs. Below are the itineraries we provide. But they’re flexible and can be adapted to your needs, tastes and time. What you will see: summit, lake, crater, and hot springs. From Senaru: We wake up around 7 AM and we have breakfast. We begin the ascension until the beautiful crater rim (2 639 meters), where you can see the lake and crater. On the way we will stop to have lunch. We will camp and dinner on the crater. Wake up at about 7 AM and we begin the descent down the mountain through beautiful jungle until we reach Senaru village. A pick up car take you until your next destination in Lombok. Ideal for those who are short on time and want to reach the summit. After breakfast a car bring us to Semblaun where we start the trek. On the way we will stop to relax and enjoy beautiful views. 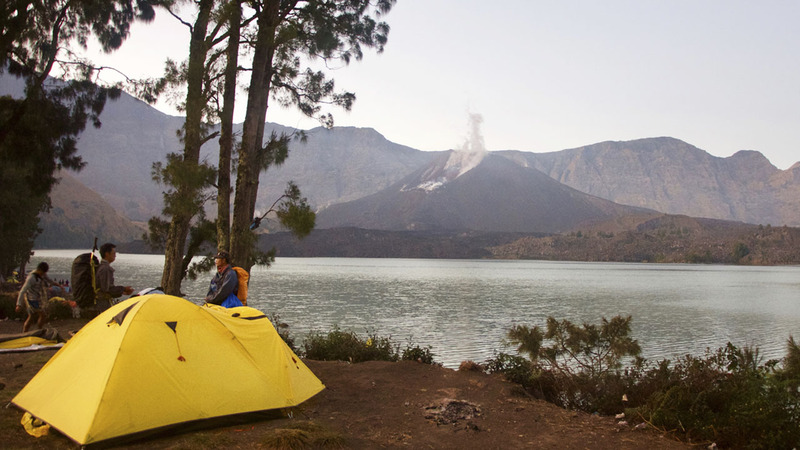 We will continue until we arrive at Sembalun Crater Rim where we will camp and enjoy dinner. Trekking shoes , backpack , long pants, warm jacket and headlamp ( also available to rent on the spot) insect repellent , swimwear, sun screen, camera and additional snacks, if you want to eat something specific.